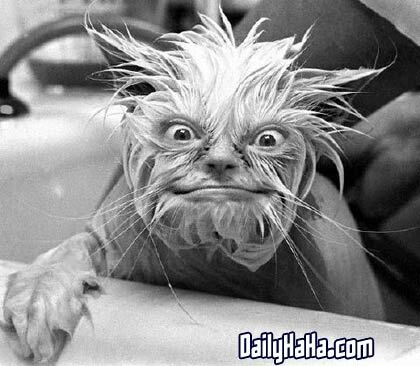 I found a pure weird cat I think picture. wet cat + human face = trick photography playing with your camera again? I've never seen a cuter cat.......where do I get one ?! Wonder who it's parent's were????? That is too funny! I think I want a cat like that just so I can laugh all day! HEY!!! How did you get ahold of that picture? I had it hidden away in my closet. Sheeeesh....I TOLD Lilian not to take that picture of me after I got out of the shower!